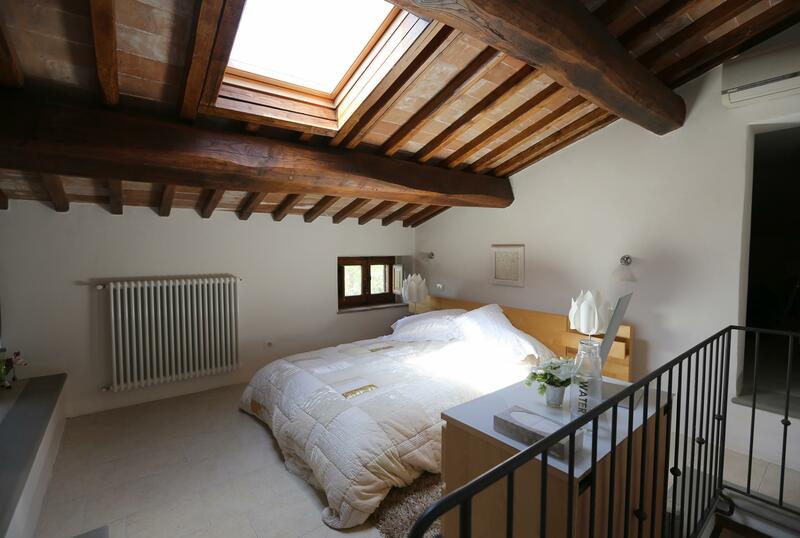 The 3 bedroom property is one end of a large old stone building which comprises part of the beautifully finished Borgo Il Pino estate, close to Foiano in the Val di Chiana. 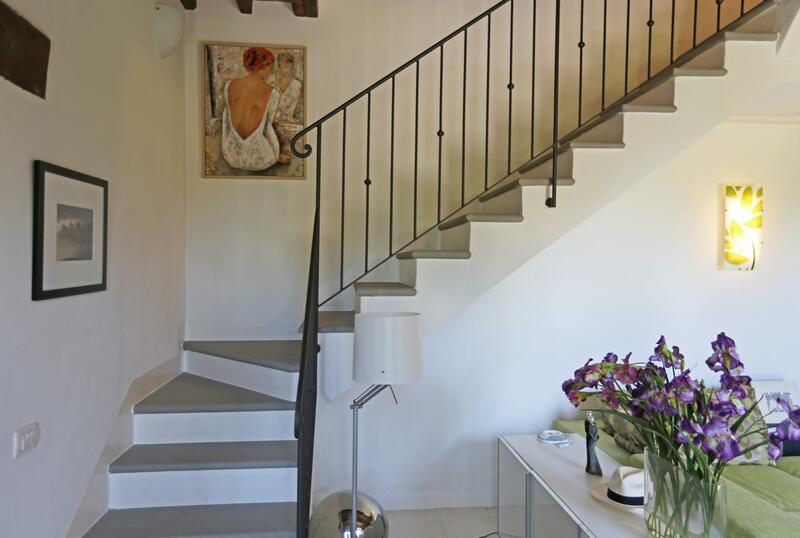 Set over 3 floors, the property has the original, old exterior and a bright, modern interior. 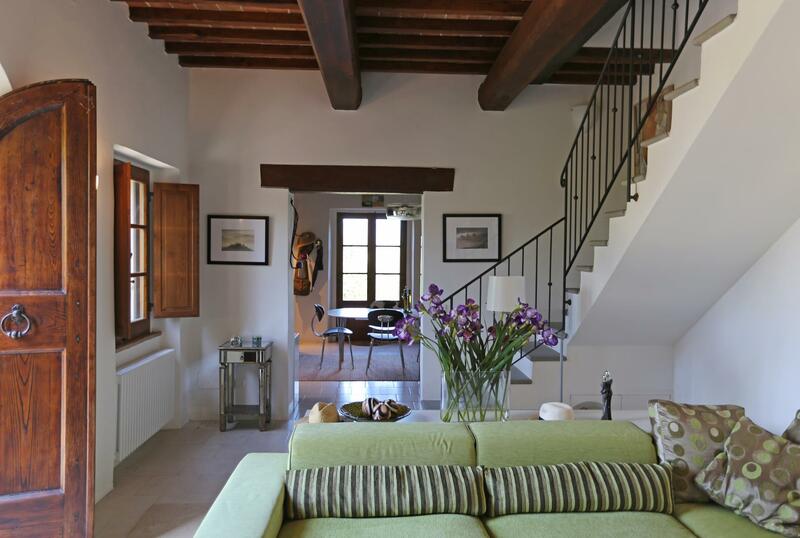 Exceptionally finished, the house has air-conditioning throughout, with al the modern comforts one could wish for. The ground floor opens into a large living area, which then moves through a wide opening into the fully fitted and very modern kitchen. The first floor has a main suite, plus a twin room and a bathroom. 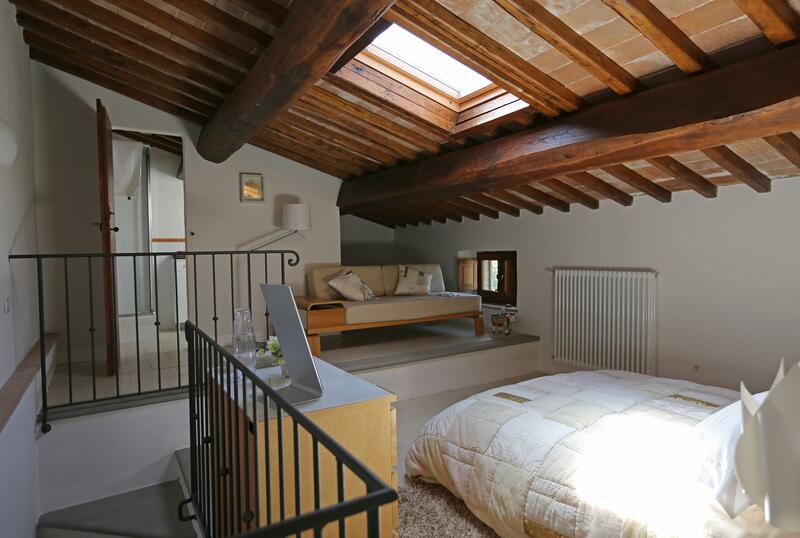 The second floor has a spacious third bedroom with en suite bathroom, and a huge storeroom makes up the remainder of this attic floor. The garden, all hedged, goes around the two sides of the property, and is part grass, part gravel, with plenty of seating and shaded ar eas. 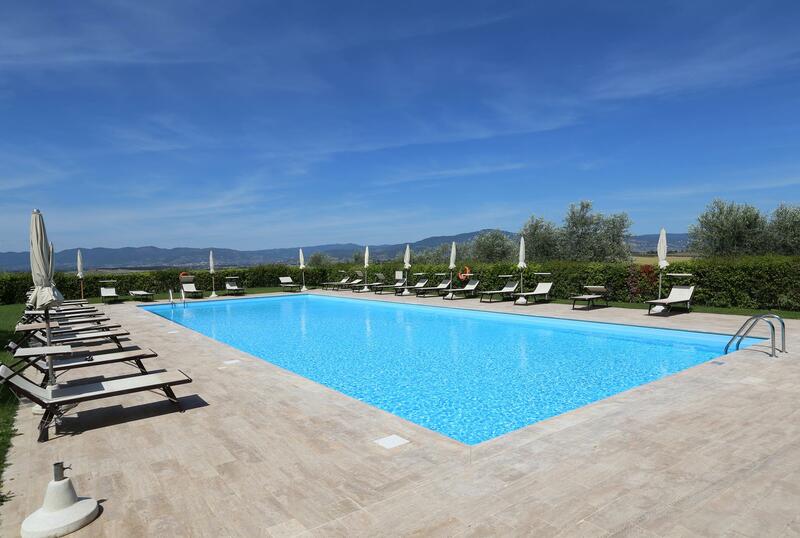 As well as the private garden, the house enjoys use of communal areas, including the huge swimming pool, nestled among ancient olive trees. The hamlet occupies a dominant position on a low hill close to the village of Creti, a short drive from Foiano della Chiana. The beautiful city of Cortona is only 15km in the opposite direction, and offers a vast variety of art, culture and cuisine. The A1 autostrada and Siena-Perugia superstrada are literally minutes away at Bettolle. 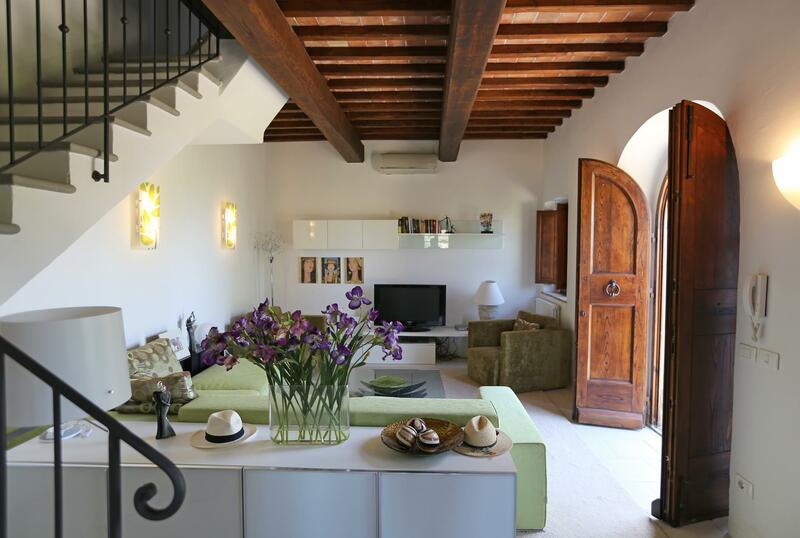 An ideal a spacious holiday home with a key-in-hand finish and extremely easy maintenance. Sorry, there are some issues with this part of the form.